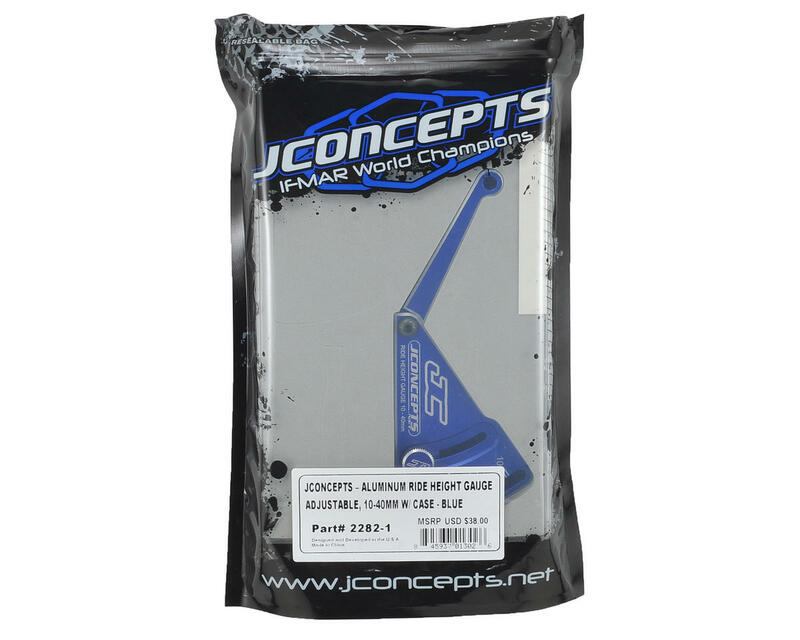 This is the JConcepts Aluminum Ride Height Gauge. A successful off-road racing program requires precise and accurate setup. 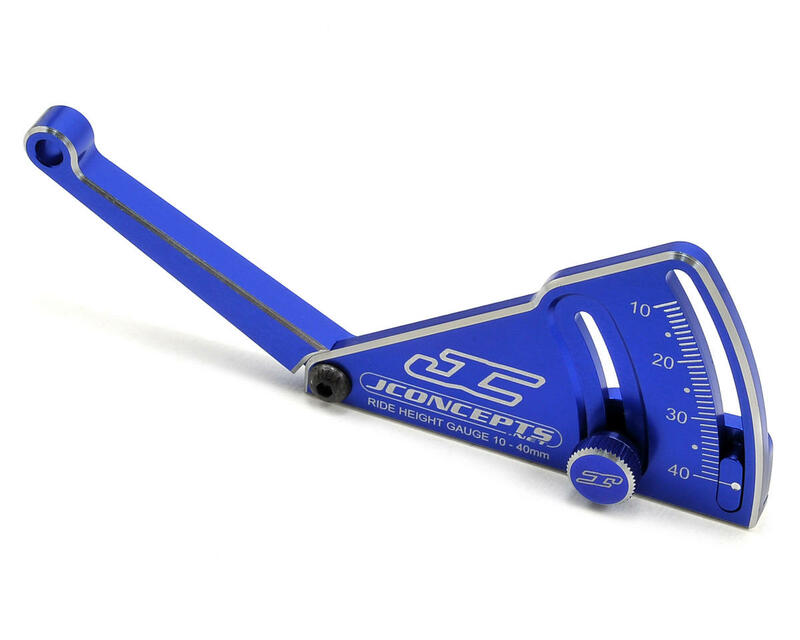 Machined from billet aluminum, the JConcepts ride height gauge is a high spec, detailed instrument that provides the precision your car deserves. The high polish, laser etched gauge features graduated measurements from 10-40mm so it can be used on a variety of vehicles. The ride height gauge is preassembled with 4mm hardware for the pivot, with a 3mm setscrew and thumbscrew as the setting knob. The structure features chamfered silver edging to highlight the design and the touch-off point on the gauge is a rounded boss that always meets the chassis at the proper angle. Each gauge includes a latched box with foam insert that fits snugly around the tool, keeping it safe wherever you go. Checking the ride height is done by placing the base against a setting board or flat surface. The user operates the pivoting arm freely to touch off against the bottom of the vehicle chassis. At the touch point, secure the thumb screw on the gauge and check the etched marking. To set the ride height, secure the thumbscrew on the etched number which is preferred. Place the gauge underneath the vehicle (front and rear) at the predetermined height and touch the suspension to the gauge. If a gap exists, raise shock collars to lower the ride height until it's matched to the gauge. If no gap exists or the spacing is too tight, lower the shock collars to raise the ride height to the desired amount. Most racers like a half millimeter space or a small feeling of space during a final check.